Finding an ideal West Palm Beach area halfway house can be a tedious hunt, as you’ll want to find a facility that shares your same values, offers a community you’ll engage with, and provides programs that you’ll connect to. Unfortunately, this is not as easy as one may think, but at Sunrise Sober Living, we offer all of these key pieces to an efficient recovery. What Makes Sunrise Sober Living a Different West Palm Beach Halfway House? Structured Living: Though it’s not always considered, structural ways of living can be a significant advantage along the road to recovery. With our sober living housing, patients are expected to clean up after themselves and take care of their spaces. This helps to teach a pattern of positive behavioral actions, as well a sense of purpose and accomplishment. We also offer group therapies, group meetings, counseling, and more. Through penciling in these appointments throughout the day, patients are held accountable for their appearances, timeliness, and participation. Professionals: At Sunrise Sober Living, we aren’t just a team of people who took addiction treatment to heart. We’re made up of experts that are certified, skilled, trained, and passionate. The staff at a facility can make or break an experience. Yet, we feel that because of our vast knowledge, years of experience, and understanding, we’re a well-rounded team that genuinely cares about the outcome for our patients. Clean, Safe, And Secure: Environment has everything to do with the success of healing. Dingy or dirty recovery centers are not encouraging. At Sunrise Sober Living, we offer multiple remodeled apartments, full of beautiful home decor, cozy living quarters, pristine kitchens, and more! Sunrise Sober Living quarters facilitate healthy, positive, and welcoming vibes. At Sunrise Sober Living, we also offer community cookouts on the weekends, as well as catering to the LGBT community, individuals, and more. With so many options, it’s easy to see why we’ve become a leading recovery choice for the South Florida community. 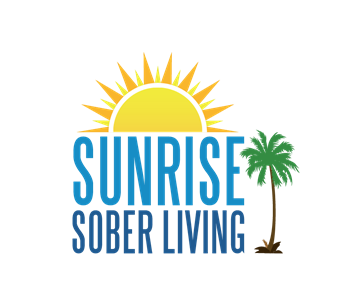 If you’re in need of a sober living facility near West Palm Beach, choose Sunrise Sober Living for an all-inclusive, supportive, and uplifting experience. Contact us today to achieve a substance-free lifestyle, and rest at ease knowing that we’ll personally help you move. Make the change! I feel like I couldn't have been anymore blessed coming to Florida and then I end up in sunrise sober living. I have learned more about myself and sobriety in the last couple months than I ever knew before I got down here. There are people who actually care and are easy to talk to and I wouldn't want to go anywhere else. This is a great place with great people who are there to help and want to see you succeed.